The Aqulia aircraft has the wingspan of a Boeing 737 but weighs about the same as a car. Its wings are covered in solar panels that provide enough energy to keep it aloft for three to six months at an altitude of 60,000 to 90,000 feet, well above aircraft. It's one of Facebook's answers to the problem of extending low-cost Internet access to parts of the world that don't currently receive it. It's also something of an engineering marvel. 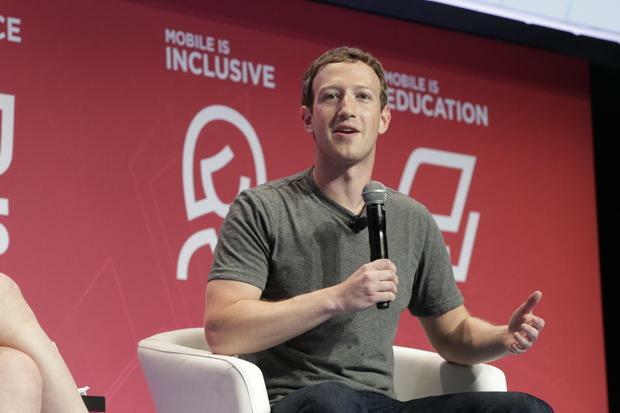 "The idea is you can send it out to a place where it might be too expensive to deploy infrastructure otherwise," Zuckerberg said. 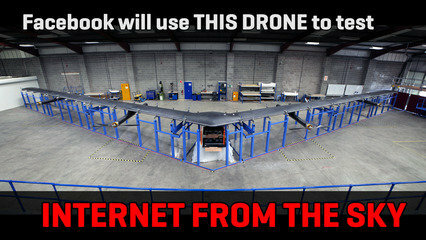 "It will just fly and stay up there and can beam down Internet access." "We’re going to do our first trials at full scale a bit later this year," said Zuckerberg, speaking at Mobile World Congress in Barcelona. "Hopefully in the next year or so, we’ll be able to incorporate this into what we come and talk to our operator partners about, to help extend all the networks to regions where it might not have been previously economical to build out traditional terrestrial networks," Zuckerberg said.